Entire Retail & Corporate Banking Solutions sourced with the best breed of functional modules. 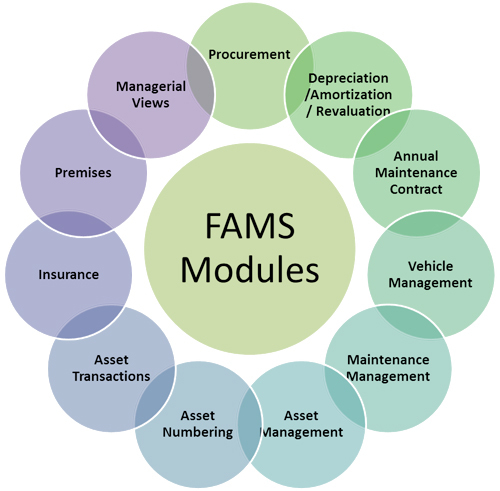 This web based application takes care of all the Moveable and Non-Moveable Fixed Assets Purchased by the Organization or any corporate .It calculates Depreciation on all the fixed assets. Module pertains to Head Office but can be used at the Branch level also. This web-based solution helps establishing a computerized system for tracking and recording all fixed assets and generates statutory, business and control related standard and dynamic reports. It improves management of widely dispersed assets of an organization, resulting in better accounting practices, maintenance and upkeep of the assets. ERP Offering of Virmati expands on this & is crafted to offer seamless integration with various heterogeneous applications & business modules of any organization/entity. Remarkable Ease of Use - With its logical and easy-to-follow , intuitive graphical interface, and flexible, customizable asset classification options, Fixed Assets simplifies the process of adding, changing, and disposing assets. Smart Data Entry - By presenting only the appropriate data entry options, Fixed Assets minimizes the chance of inaccurate calculations. Even System supports import through standard CSV/Excel templates. Maintain Historical and current cost of assets. Assets revaluation for Balance-sheet purpose along with tax benefits. Fixation of Life cycle for particular asset. MIS Report Generation along with standard reports from the system.